Listed on the National Register of Historic Places, this impressive Greek Revival landmark represents the first columned mansion in Vicksburg. Anchuca is also one of the first historic home to become one of Mississippi’s finest bed and breakfast inns. A view of the home’s exterior- a mixture of wood and brick – offers clues to its construction history. Anchuca, named for the Choctaw word for “happy home”, began as a two-story wood frame cottage built around 1830. The first dwelling was erected on this site in the late 1820s. (We say circa 1830, just to give an approximate date.) Surrounded by stately live oaks and located in the heart of Vicksburg’s Historic District, Anchuca was built by local politician J. W. Mauldin. 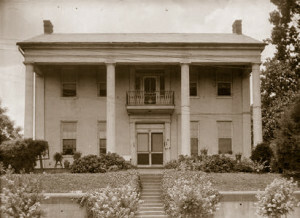 However, the overall Greek revival-style structure seen today was constructed in the late 1840s and is attributed to Vicksburg’s most influential citizens of their time, Jane and Victor Wilson. Mr. Wilson was one of the town’s most successful merchants, establishing coal and ice businesses. The Wilsons and their seven children (six girls and one boy) survived the horrific 47-day siege of the city only to succumb to family tragedy just weeks after Vicksburg’s surrender to Union forces on July 4, 1863. Their only son and infant daughter died due to the unsanitary conditions and malnutrition that families endured during the siege. 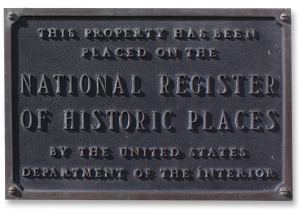 With the death of Mr. Wilson in 1865, Mrs. Wilson, overwrought with emotions and economic ruin, sold the property. 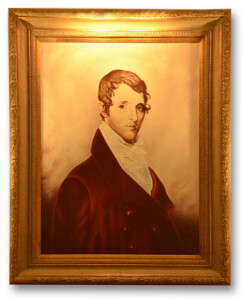 Joseph Emory Davis, patriarchal brother to Confederate President Jefferson Davis, the owner of the magnificent Hurricane Plantation located in Warren County, Mississippi, and a great American pioneer in his own right, lived here until his death on September 18, 1870, at the age of 87. Jefferson Davis was reunited with his brother (and father figure) at the home in January 1869. The town’s legend testifies that it was during this stay that Jefferson Davis did indeed speak to friends and neighbors from Anchuca’s front balcony, marking this site for many historians and Southerners alike as one of the last public addresses to the people of Vicksburg by Jefferson Davis. Anchuca’s bold, impressive exterior gives way to an elegantly refined yet comfortably inviting interior. Today the antebellum home is handsomely furnished with fine antiques and art representing the late 1700s to the mid-1800s yet tailored to provide all the modern day luxuries. Enjoy quiet time in our coffee/tea library or simply relax with a refreshing beverage in one of our beautiful courtyards or by our elegant classically shaped swimming pool. Anchuca stands in grand tribute to Vicksburg’s rich history and offers its bed and breakfast guests a sensuous escape complete with a hearty dose of Southern hospitality.